Join new and established James Dashner fans in THE #DASHNERDASH BINGE READ, a rereading of all four titles in the bestselling Maze Runner series, in advance of the September 27 publication of the eagerly anticipated Maze Runner prequel novel, The Fever Code. When discussing the reread on social media, readers are encouraged to use the hashtag #DashnerDash to follow along in the conversation. Has it been a while since you have entered the Glade, or are you curious to know more about all the Maze Runner series buzz? Now is the time to have your questions answered and discussed as Random House Children’s Books invites Dashner fans worldwide to participate in a discussion of one title in the series each month. 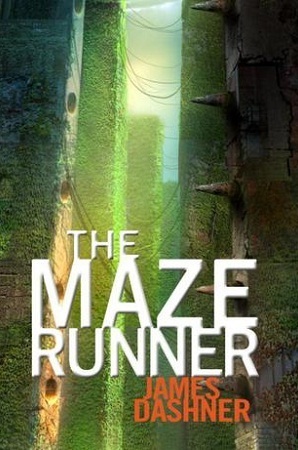 The reread will kick off on May 27 with The Maze Runner—fans can submit questions via the James Dashner Facebook page. Selected questions will then be discussed by the author and his editor, Krista Marino, in a series of live Google Hangouts during the last week of each month. The first Google Hangout with Dashner and Marino will happen the week of June 27. Specific details will be posted on the Facebook page and shared via social media. Death Cure on July 27, and The Kill Order on August 27. Questions can again be submitted via Facebook, and a book-club-style discussion will occur at the end of each month. The Google Hangout for The Kill Order at the end of August will lead right into the publication of The Fever Code on September 27. What better way to celebrate the start of summer than by revisiting a beloved series and introducing the books to new fans? 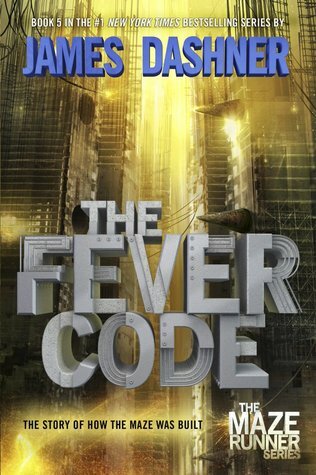 Look for the first two chapters of The Fever Code, recently revealed in the paperback edition of The Rule of Thoughts, to be discussed in the Maze Runner Google Hangout as well. Titles are available wherever books are sold. The series has sold over 14 million copies in all formats. JAMES DASHNER is the author of the #1 New York Times bestselling Maze Runner series—The Maze Runner, The Scorch Trials, The Death Cure, and The Kill Order—as well as the bestselling Mortality Doctrine series, which includes The Eye of Minds, The Rule of Thoughts, and The Game of Lives. To learn more about James and his books, visit jamesdashner.com, follow @jamesdashner on Twitter, and find dashnerjames on Instagram.